There are many things you can do with $500 nowadays. You could buy a shiny new Xbox One with Titanfall, a Playstation 4 with a few games, or even a cheap gaming rig. But that just won't cut it for all of us today. Some of us are longing for a blast from the past or to relive our childhood, well today that day has come. 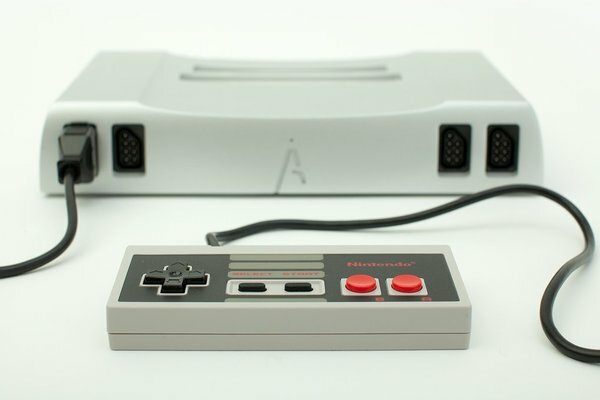 Today a company called Analogue Interactive has opened up pre-orders for their Analogue Nt for $499, the Analogue Nt re-defines the well know NES system into something you've never seen before. It is made out of a single block of aluminium and it has a few updated features such as an updated sound and video card, to help you get that nice crisp and clean picture. But other than those luxurious upgrades it is still the same old console that you grew up with. The Analogue Nt is compatible with all the original NES and Famicom Cartridges, and controllers if you happen to have any of those laying around still. The console will also work with the original Famicom 3D System and Famicom Disk System if you can get a hold of those. This should run like the original NES system since it uses the original Ricoh 20A3 and 2C02 silicon chips, which have been harvested and recycled from the old yellowing and fragile Famicom systems over the years. If you happen to pre-order this nifty system your pre-order should ship sometime this summer. What do you guys think about this? I personally think that this is a cool innovation, but they are asking way too much for it. I'm interested in nostalgia as much as the next guy but I'm not hungry enough for it to shell out $500 when I can get an Xbox One or new PC parts.